Can't make an Information Session? Click here to setup an appointment with an admissions advisor. The Edwards Master of Business Administration program is a transformational experience that focuses around teambuilding, leadership and business strategy. You will learn the people skills of management such as how to manage, how to communicate effectively, and how to lead. Our students develop management skills that are both integrative and strategic, gaining a deeper understanding of organizations and their local and global context. Graduates then enter their professional endeavors with confidence, integrity and accountability. Faculty and colleagues within the Edwards MBA program will become valuable business contacts and life-long friends. No business degree? No problem! Did you know that you don't have to have a bachelor's degree in Business to get an MBA? Lots of our students have bachelor degrees from non-business disciplines but want to learn the business skills that they'll need to succeed in their industries. Here are a couple of our key features. Students are taught an integrated curriculum, teaching that attempts to break down barriers between subjects and make learning more meaningful to students. Major concepts are culled from these broad themes, and activities are planned that teach or inform of these concepts. An integrated curriculum requires accessing knowledge from all of the traditional subjects without labeling them as such. In addition, an integrated curriculum adds problem solving, social consciousness and real world application to the learning process making it a more comprehensive way of educating and of learning. Edwards MBA students are required to complete three modules that focus on the integration of curricula from a suite of courses. The integrative modules use a case method approach, including instruction, discussion, analysis, presentation, and writing. Scheduled three times during the program, these modules provide opportunities to integrate and apply the knowledge gained in functional areas. The first modules is a building block within the program utilizing concepts learned to that point, leading to the final module which integrates the entire Edwards MBA curriculum. The course is a blend of short lectures, in-class case analysis and discussion as well as both group and individual case analysis. Deliverables consist of discussion case analysis hand-ins, class group presentations and written case analysis for both modules and an individual written case analysis for the final module. Participate in a one week intensive experiential management skills retreat in beautiful Northern Saskatchewan. This course will provide MBA students with skills to enhance self-understanding; improve interpersonal effectiveness and successfully manage in complex environments. Students will explore their personal management style and improve their communication skills; gain valuable insights into how to manage difficult people; conduct interest-based negotiations; and help their subordinates achieve improved levels of performance. We will also highlight the role of personal wellness as a critical aspect of management performance. To learn more about the Edwards MBA Internship Program, view the brochure here! Selecting a career is a process of research, knowledge and acquisition, and self-assessment. Learning about yourself – your interests, skills, values, and needs – and the spectrum of possible careers will enable you to make the most educated and appropriate decision for you and set you on your way for long-term career success. Edwards Career Services will work with you to ensure you are well positioned to make the best possible employment decisions. We can provide you with the tools you need to successfully navigate your career path. Finding a satisfying position depends on your unique background, your energy, and your desire to succeed. Through an active partnership with Edwards Career Services, you can ensure your MBA education and the application of your own initiative will advance you towards your long-term goals. Click any of the links below to learn more about what Edwards Career Services can do for you! 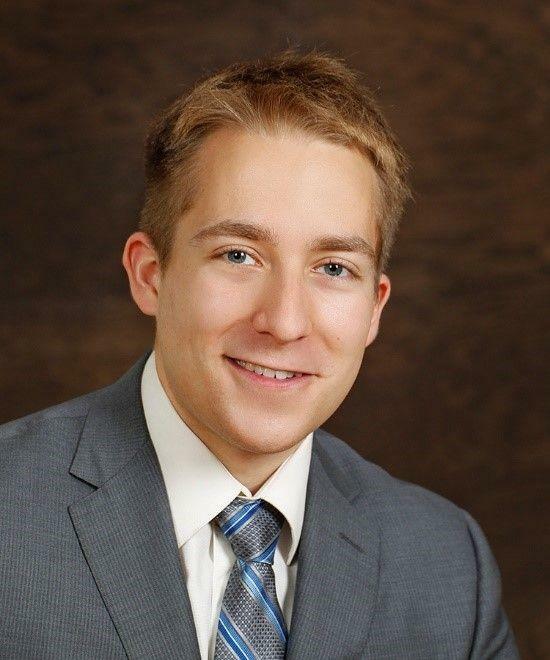 "I entered the Edwards MBA program to expand my understanding of business and enhance my career opportunities. I've found that the classroom experience offers a depth of knowledge and perspective that complements my analytical skills gained from the Engineering program. The part-time program is convenient for me to continue to work as an engineer while advancing my education. This program has given me a broader view of the business world and how to work effectively in all areas of it. I highly recommend the Edwards MBA to any engineer looking to advance their career." MBA 829.3 Financial Statement Analysis - Analyze, interpret and evaluate an entity's financial statements and related information. The entities subject to analysis will be from a number of different industries which will enable a variety of accounting and financial issues to be explored. MBA 819.3 Marketing for Organizational Decision Making - Focus on the role that marketing plays within an organization and how it integrates into organizational decision making. You will learn the innovative and imitative processes used to create a superior value-creating firm and the management and strategic processes whereby products and services are developed, priced, promoted and distributed. MBA 825.3 Financial Management - Examine the role of finance in business decision making. Emphasis is placed on developing knowledge of theories, concepts, and analytical techniques used in business finance. You will begin to view finance as an integral part of business and learn that all business decisions involve some form of financial analysis. MBA 865.3 Accounting for Planning & Decision Making - Understand the vital role that modern management accounting information plays in today's economy. You will create a foundation for understanding the basic management accounting concepts, definitions and calculations that are critical for making sound business decisions. MBA 870.3 Corporate Finance - Master the skills and knowledge of finance and be able to make sound economic investment decisions, finance projects with confidence, and manage a firm's assets and liabilities more effectively. In this course, emphasis will be placed on measuring cash flows, valuing assets and investments, measuring risk and required returns, financing and structuring deals, and managing operational assets. MBA 830.3 Operations Management - Explore activities related to the production of goods and delivery of services, as well as the improvement of key business processes. This course will examine the tools, principles and analytical techniques that managers and business analysts use to investigate key issues within the operations function. MBA 803.3 Business and Society - Develop the skills needed to analyze, formulate and implement firm strategy. This course is fundamental to understanding how business works and is a pre-requisite for all other MBA courses. Organization of creating an effective financial reporting strategy will also be examined. MBA 889.3 Integrative Modules - Offered three times during the MBA program and taken in the final year of study, the integrated modules use a case method approach to integrate and apply the knowledge gained in functional areas. The course is a blend of short lectures, in-class case analysis and discussions as well as group and individual case analyses. MBA 846.3 Entrepreneurship and Business Planning - Assess business plans from the viewpoint of entrepreneurial proponents as well as venture capital investors. You will be taught the concepts and tools needed to successfully develop and manage all components of a strategic business plan. MBA 828.3 Tactical Strategy - Strategic management is the set of decisions and actions which leads to the development of an effective strategy to help achieve corporate goals and objectives. Learn how strategy helps to achieve corporate goals and objectives. Serving as the capstone course of the Edwards MBA program, this class will use performance measurement and risk management tools to maximize the benefit of the organization's strategic choices, integrating concepts learned in the program. MBA 992.3 Venture Management - designed to assist students in developing and understanding the skills and tools required in preparing and presenting a complete and professional business plan for a business entity. All aspects of the business plan are discussed and integrated, including operations, human resources, marketing and finance. MBA students are expected to combine knowledge and skills to produce and present a professional business plan. MBA 878.3 International Business and & Global Marketing - Examine the broad dynamics of the international environmental factors that influence business activities of the firm. Content includes demographic trends, economic development, natural and resource concerns, political landscape, and cultural diversity. MBA 813.3 Strategic Human Resources Management - Discuss the linkage between organizational strategy and human resources to achieve fit between the two. You will study fundamental concepts, with best practices to current management situations. MBA 877.3 Leadership & Organizational Dynamics - Focus on the social forces within organizations and examine how they affect office politics, power in organizations, organizational culture and organizational change. You will study articles, cases, novels, illustrations, and utilize discussion to appreciate the totality of leadership in order to develop and hone your personal leadership philosophies. MBA 885.3 Essential Management Skills Retreat - This course will provide MBA students with skills to enhance self-understanding; improve interpersonal effectiveness, and successfully manage in complex environments. Students will explore their personal management style and improve their communication skills; gain valuable insights into how to manage difficult people; conduct interest based negotiations; and help their subordinates achieve improved levels of performance. The Edwards MBA can be completed in only 12 months if taken full time, or part time in up to 36 months. Its intensive and highly integrated format will develop your management ability in an applied and useful way. More than that, you will learn the people skills of management such as how to manage yourself, how to communicate effectively and how to lead. A decidedly unique aspect of this innovative MBA program is the focused learning and integration of business concepts. Each course is offered consecutively in a modular format. Courses are scheduled in three week durations creating an intensive learning environment that immerses students in the subject area while allowing flexibility in scheduling your MBA education. Furthermore, our students learn how business concepts are integrated into business decisions through a combination of applied courses, exercises, case studies and projects incorporating each functional business area. The modular system is developed for students to accommodate their studies around their lifestyle. Those who prefer an intensive experience can complete the MBA program full-time in 12 months. Students who are working can choose the part time program and take up to 36 months to complete an MBA. A student who selects the part time plan can also later choose to fast track their studies to complete the degree in a shorter time period. With a variety of scheduling options, pursuing a Master of Business Administration at the Edwards School of Business can be effectively integrated into career goals to provide a transformational educational and life experience. ﻿﻿If you are looking to fast track your MBA then the Edwards MBA Full Time Program is the right choice for you! You can complete the Full Time Program in only 12 months. Classes run from 4PM-8PM, Monday, Wednesday, Thursday and every third Saturday. Saturday classes run 9:00am - 4:30pm. The Edwards MBA 2 Year Program is the perfect solution for those students who are working! Classes run from 4PM-8PM, Monday, Wednesday, Thursday and every third Saturday. Saturday classes run 9am - 4:30 pm. While some flexibility is required from your employer, the 2 Year Program can be effectively integrated into your career goals! You will begin your program in September, with Orientation, and then begin your first class as an Edwards MBA Student, MBA 803 Business and Society. You will complete 6 more classes from September until August. The Edwards MBA 3 Year Program is the perfect solution for those students who require more time to get their MBA! Classes run from 4PM-8PM, Monday, Wednesday Thursday and every third Saturday. Saturday classes run from 9am - 4:30 pm. While some flexibility is required from your employer, the 3 Year Program can be effectively integrated into your career goals. You will begin your program in September, with Orientation, and then begin your first class as an Edwards MBA Student, MBA 803 Business in Society. You will complete 4 more classes from September until August. In your second year, you will complete a total of 4 classes. Did you know that you can gain your MBA while working on another degree? It's true! 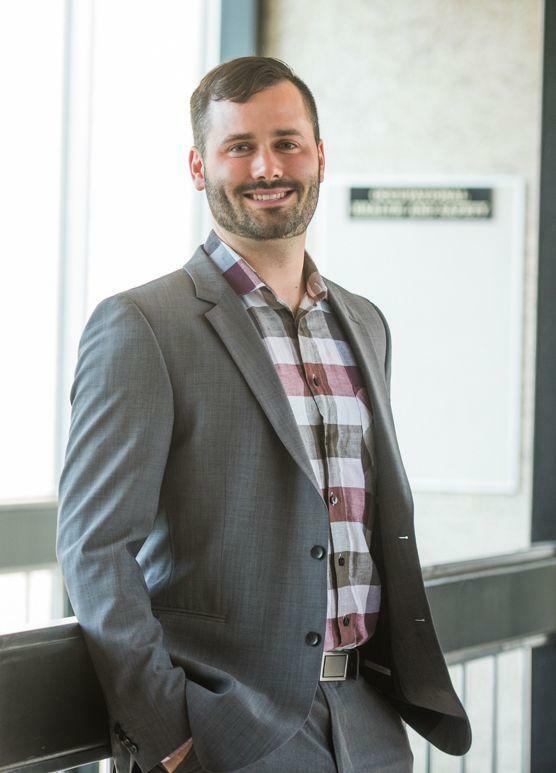 Edwards School of Business has worked with three other colleges at the University of Saskatchewan to develop combined degree options! You can now gain your MBA while working towards your Doctor of Medicine (MD), Doctor of Veterinary Medicine (DVM), or Juris Doctor (JD). Click on one of the pages to your left to learn more about each combined degree. The Edwards School of Business and the College of Law are pleased to announce the creation of a Dual Degree in business and in law. The program will be a three-year program allowing students to complete their law degree and their MBA simultaneously. Students will complete 39 credits in the MBA and 81 credits in the JD program for a total of 120 credits. Expand Your Career Options: Students will leave the University of Saskatchewan prepared to practice either in a career in law and/ or a career in business. They will be well poised to act as corporate counsel in any large organization. The versatile skillset you gain through the JD/MBA could make you a prime candidate for high-level positions. A JD/MBA can be extremely valuable for those pursing a public interest focused career path. In this sector, senior leaders are often tasked with heading a nonprofit or public institution, which requires significant management capabilities. More credentials, less time. 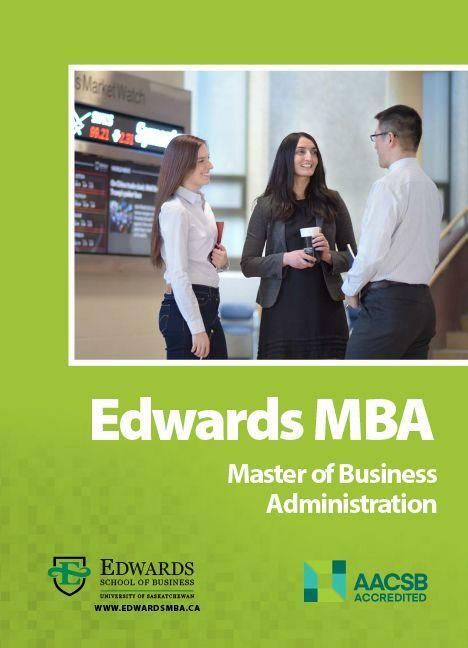 The JD /MBA Program is a 3 year program administered jointly by the Edwards School of Business and the College of Law at the University of Saskatchewan. The two degrees are complimentary and will allow students to complete two degrees in less time than if they were taken separately. (3 years versus 4) If you know you want both degrees eventually, you should consider doing them together. Interested applicants must apply and be fully admitted into the two programs. Interested applicants must first Apply to the College of Law: http://law.usask.ca/programs/law-degree/Apply.php and meet all admission requirements including a four-year bachelor level degree and a current LSAT score. Applicants must check the JD/MBA option on the application. If accepted, students will then be contacted by the Edwards MBA office with further instructions. Students who are admitted into the MBA and the JD will defer their entrance into the MBA by one year in order to complete their first year in the law school. Currently if taken separately the approximate tuition for the two degrees would be $69,012 ($30,006 for the MBA and $39,006 for the JD). Taken as a double degree the cost drops to approximately $61,110.60. Please note that all amounts are approximate and are subject to change. Students admitted into the Dual JD/MBA will be considered for funding from the Edwards School of Business. Scholarships will be awarded based on academic achievement and all around application merits. ROI: Holding a JD/MBA may also significantly increase your lifetime earnings. Many law firms reward first-year associates that hold JD/MBAs with a special bonus and/or second-year salaries. Additionally, no matter what your profession or industry, the combined JD/MBA degree will give you extra leverage when negotiating salaries throughout your career. 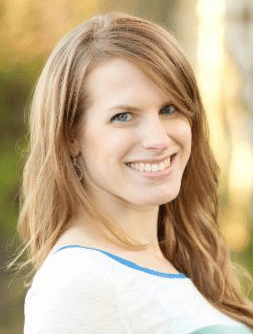 "While completing my DVM, I discovered that I wanted to do something different than traditional veterinary practice. The MBA program provided a platform to apply skills from my unique background as well as build on new skill sets learned in the classroom from courses including leadership, finance, entrepreneurship and human resource management. In addition, the program introduced me to a very diverse group of people and facilitated networking." The Edwards School of Business and the Western College of Veterinary Medicine are pleased to offer the DVM/MBA program. The DVM/MBA program is a 5-year program based on this proposal of inserting the one-year MBA program between the third and fourth year of the DVM program. As veterinary medicine has become more corporate, and practice size in general is enlarging, the pharmaceutical industry and government offices continue to hire DVMs, and therefore, will all benefit from this combined DVM and business administration degree. To commence the MBA program students would begin September 1st after successfully completing three years of veterinary medicine. The MBA program would run from September 1 to August 20 of the following year. Students would return to their clinical training year in the fifth year delaying completion of the DVM program by one year. Make the most of your technical skills. Veterinary medicine is evolving very quickly in both companion and food animal sectors of private practice. It is quite common today to have veterinary practices in the range of 10-200 employees, and the management of such units is challenging and often requires significant human resources, financial and managerial skills. Individuals possessing strong business skills are often seriously lacking in the understanding of the animal industry, i.e., companion animal, food animal or other aspects of veterinary medicine such as corporate or government work. Who is this a good fit for? The dual degree is an ideal fit for the future development of individuals who would typically be administrators in large practices or successful small business owners. Our outcomes assessment over the last 20 years has consistently shown that we are not providing enough business training within our DVM program to make our graduates comfortable in the business decisions they face in the first 2-3 years of practice. Although this degree will not make all DVM graduates business professionals, it will supplement the profession with more people to serve with human resource, financial and business management skills combined with the DVM. Only five applicants per year are accepted to the DVM/MBA program. Students must have a four year baccalaureate degree and meet the minimum admission requirements of the MBA program, and be a current student in the WCVM at the University of Saskatchewan. Students will be recommended by the WCVM but must meet the minimum requirements of the MBA admissions process and will be vetted by the MBA admissions committee. "I chose the Edwards MBA program to gain a foundation in business before I begin studying medicine. Coming from the sciences, I would not have had exposure to business skills and concepts required to make informed decisions that affect healthcare, or the networking opportunities. Having an MBA in medicine will be beneficial in helping me understand the business implications of the decisions that physicians make. An MBA/MD will help me bridge the gap between clinical practice and business management, whether that is running a private clinic or informing government policy." The Edwards School of Business and the College of Medicine at the University of Saskatchewan currently offer an MD/MBA program. This program is designed to create effective managers and teach leadership roles in the Medical profession. Students admitted to the MD/MBA program would be, in effect, deferring their MD program admission by 1 year to pursue the regular-stream 12-month full-time Edwards MBA program from September to August of the year of admission. This program is only open to student who are accepted to the College of Medicine at the University of Saskatchewan. Who is this a good fit for? This combined degree will provide the tools and knowledge necessary for Doctors of Medicine looking to advance to a manager position in a wide range of healthcare practices. From publicly funded practices such as small local clinics and large hospital facilities to privately owned corporations in the pharma/biotechnology and health insurance industries, successful graduates of the MD/MBA program will have the medical and business knowledge needed to quickly stand out among their peers. Up to two applicants per ear can be accepted into the dual MD/MBA stream. The MD/MBA program effectively begins at the admissions level. Students applying to the joint program must be vetted by both Colleges. Students must have completed a four year baccalaureate degree. Candidates would be screened first for the MD program on the basis of academic performance (GPA) and non-academic qualities (multiple-mini interviews or MMI). Students will be recommended by the College of Medicine but must meet the minimum requirements of the MBA admissions process and will be vetted by the MBA admissions committee. Acceptance into both programs means the applicant gets a deferral on starting medicine for one year. The applicant immediately starts In the MBA Program. Sign up to learn more about our program! Use the form below to sign up for emails from our office with reminders about important deadlines, student and employer testimonials, and information on upcoming information sessions! Please complete the information below and click Sign Up. The Edwards MBA Program begins in September every year. Applications for the 2019-2020 Academic Year are now being accepted. Space permitting, applications will be accepted on a rolling basis throughout the year. The deadline to be considered for entry scholarships is May 31st of each year. International Applicants: The deadline to submit a completed applications for the 2019-2020 Academic Year is March 31, 2019. International applicants must apply by this date to accommodate the visa process. If visa documents are in order, international applicants will still be accepted until May 31, 2019. If you are unsure whether you can apply, just ask! Applications are accepted on an ongoing basis and are evaluated in the order in which they are completed. Therefore, it is to your advantage to submit your completed application as early as possible, as enrollment is limited. The admission process is competitive and later applications are at a disadvantage. The Edwards MBA assesses applicants on a composite basis for admission purposes. We look at a variety of factors when making admission decisions including undergraduate degree, grade point average, work experience, GMAT score, and reference letters. An interview may be required. A four year undergraduate degree from a recognized university (as deemed by the University of Saskatchewan) with a minimum 70% in the last two years of study. Unofficial transcripts from all post-secondary institutions that you have attended must be uploaded to your application. Transcripts from the University of Saskatchewan do not need to be uploaded, but are required from all other institutions you have attended. For countries where degree certificates are issued, they must also be uploaded. If accepted, an official transcript of your academic record is to be sent directly from each institution attended. All applicants wishing to enter the program are required to write a GMAT exam. GMAT (Graduate Management Admission Test) is a standardized test for measuring aptitude to succeed academically in graduate business studies. The minimum accepted GMAT score is 500. However, offers of admission are typically made to candidates with scores of 550 or higher. This test can be written at major centres throughout the world. For information on test centre locations, the nature of the exam, and scoring procedures, please visit the GMAT website. GMAT scores are valid for five years from the date the test is taken. Three (3) confidential letters of recommendation. The Edwards MBA requires you to submit 3 confidential letters of recommendation, from professors or others acquainted sufficiently with your training and experience to express an opinion on your ability to undertake graduate training. At least one of these must be an academic reference. Contact your referees and ask them to provide a reference for you for the Edwards MBA program, and obtain an up to date email address. Your letter of intent is a chance to tell the Edwards MBA Selection Committee what unique and valuable contributions you can make to the Edwards MBA program. Provide a brief description of your business and educational background, and your goals for the future. How will an MBA help you achieve your goals? Describe briefly what piqued you interest in achieving an MBA, and what you hope to get out of the program. Discuss why you have decided to apply to the Edwards MBA program, and why it is a good fit for you. What specific parts of the Edwards MBA program are you looking forward too? Make sure your letter of intent is unique and specific to the Edwards MBA program. We don't want to read generic letters that sound like they could have been sent to any school; We want to know why you have chosen the Edwards MBA, and why we should choose you! Don’t just update and print off your last resume, take the time to understand what the Edwards MBA program is looking for in your resume. The MBA Selection Committee reviews your resume to find out the number of years of professional experience, jobs and positions held, previous employers, etc., to establish a work experience value for our composite admission scale. Make sure you outline the length of employment for each position on your resume. In order to evaluate your professional performance, the admission officers will measure the duration of each of your jobs, and the evolution of the responsibilities you have had. By following these simple steps, your resume can improve your chances for success! No Work Experience? No Problem! For applicants wishing to enter the program straight out of their undergraduate degree's, greater emphasis will be placed on your academic components. You will still be required to submit a current resume. Language Proficiency Requirements: Proof of English proficiency may be required for international applicants and for applicants whose first language is not English. See the College of Graduate and Postdoctoral Studies Academic Information and Policies for more information. *To see whether you will be exempt from this requirement, Click Here. International students who must submit an English Language Proficiency test score will be enrolled in our Language and Communications for Graduate Management Program Study seminar which takes place in Term 1. Normally this course is $700 for students to take, but the Edwards MBA office is willing to pay the tuition for admitted international students. Students who complete this course will receive a certificate of completion. Tuition fees - Program tuition fees are assessed each by the University of Saskatchewan in May of each year. Fees are charged each term and are based on the courses registered for within the respective terms. The University of Saskatchewan academic calendar is based on four terms per year. Graduate students must register at the beginning of each academic year and arrange for payment of the required fees. Student Fees - All graduate students, including international graduate students, must pay student fees. These fees are subject to review and revision at any time, and, they are non-refundable after the add/drop deadline for a given term. Current fees are posted on the Money Matters website. For information on how and when to pay graduate fees check the University Course Calendar for Payment of Tuition and Compulsory Fees. Computer Equipment - A laptop computer is required. The University of Saskatchewan Computer Store has various purchasing options, and Edwards MBA students are eligible for educational pricing on all software required for program use. The Edwards School of Business provides complete tech support for students, regardless of where your computer was purchased. We understand that education is a heavy investment and we are here to help. The Edwards Graduate Program Office administers a number of awards and bursaries with a total value of more than $100,000 annually for incoming students. Awards have specific criteria based on academic achievement, financial need and student background. Award recipients will be determined by the end of July each year. Only accepted students who submit an award application by the stated deadline date and have confirmed their attendance with a tuition deposit will be considered. Completed applications can be emailed to mba@edwards.usask.ca, or dropped off at the Edwards Graduate Programs Office, Room 241, Edwards School of Business. Additional awards which are administered by the College of Graduate and Postdoctoral Studies are also available to Edwards MBA students. For further information on awards administered by the College of Graduate and Postdoctoral Studies, visit Award Search and select Business Administration for the Department field. Financial Need Calculator* (if applicable) - Please ensure you get the confirmation message, as per instructions below. All packages must be received by June 29, 2018. For some awards and bursaries, you are required to complete the Financial Need Calculator. You are required to complete the Financial Need Calculator only once, even if you are applying for multiple awards. Once an application has been started, it will be listed under the “Existing Applications” header on that same webpage. Once you have completed the form correctly, you will receive a message after you submit that says "SUCCESS: Selected application was successfully submitted." If you have already completed the Financial Need Calculator in PAWS for the 2018-2019 academic year, you do not need to complete it again unless your financial situation has changed. Ensure that you submit receipts, estimates, etc. for any Extraordinary Expenses you claim to awards.documents@usask.ca by the June 29th deadline. This award was established through a donation from the Grandey Leadership Initiatives Fund at the Edwards School of Business. The purpose of this award is to offer financial assistance and recognize leadership in the community of students entering the Master of Business Administration program at the University of Saskatchewan. Submit a statement of between 500 and 600 words demonstrating leadership in their community. Not have received any other awards in excess of $5,000 offered through the MBA program. Application Deadline: June 29th, 2018. The recipient will be notified by the end of July 2018. Note: To have your application considered for this award, students must have been accepted into the program and have confirmed their attendance with a tuition deposit by the award application deadline date. This award was established through a donation from the Grandey Leadership Initiative Fund. This award is open to students entering the Edwards MBA Program at the University of Saskatchewan. Selection will be made on the basis of overall merits of the admission package, as determined by the Award Committee. There is no application necessary for this prize. All accepted students who have confirmed their attendance with a tuition deposit will be considered. Award Value: One award valued at $2,500. Application Deadline: June 29, 2018. The recipient will be notified by the end of July 2018. This bursary was established through a donation from Lorne Larson (BA 1958, BUSCER 1958) in recognition of his late father, Herbert Larson, who received his Certificate in Accounting from the University of Saskatchewan in 1925. Preference will be given to applicants who have a previous University of Saskatchewan degree, and who have graduated from a high school in the province of Saskatchewan, as determined by the Award Committee. Award Value: One award valued at $2,000. This award is funded jointly between the Edwards School of Business and the Western College of Veterinary Medicine (WCVM). The awards are open to University of Saskatchewan WDVM students who have applied to the WCVM and who are entering the MBA program at the U of S. Selection will be based on overall merits of the MBA admission package, as determined by the Award Committee. Students may not hold this award in conjunction with another MBA administered award of $5,000 or greater in the same academic year. Award Value: Up to five annual awards with a minimum value of $10,000 each. Selection will be made on the basis of overall merits of the MBA admission package, as determined by the Award Committee. Students may not hold this award in conjunction with another MBA administered award of $5,000 or greater in the same academic year. Award Value: Three awards, each valued at $10,000. This award is funded through the N. Murray Edwards endowment fund. The award is open to students accepted to the combined JD/MBA Program, and who are entering the second year of the combined program. Selection will be based on overall merits of the JD/MBA admission package, as determined by the Award Committee. Award Value: Up to five annual awards valued at $10,000 each. This award is funded through the N. Murray Edwards endowment fund. The award is open to University of Saskatchewan MD students who have applied to the College of Medicine to defer continuation of their current medical studies, and who are entering the MBA program at the U of S. Selection will be based on overall merits of the MBA admission package, as determined by the Award Committee. Award Value: Up to two annual awards. The value of the award is intended to approximate the difference between the College of Medicine tuition and the Edwards MBA tuition. Not have obtained a previous business discipline degree. Provide a two-page statement outlining how they will parlay their prior training (e.g. engineering, medicine, arts, etc.) in tandem with an MBA into a transformative venture or innovative career path that benefits the province and nation. The statement should discuss the student’s motivation for the MBA, leadership ability, and the type of positive outcome that could be expected from the combination of a good idea with sound business training. Must be completing the program in one year, maintaining full-time student status. Selection will be made on the basis of the overall merits of the MBA admission package as well as the submitted statement, as determined by the Award Committee. Award Value: Three annual awards valued at $12,500 each. Individuals requesting to be considered for this award must forward a letter requesting consideration. All applicants will be required to provide documentation verifying their Aboriginal ancestry, which included applicants of Indian, Inuit or Metis ancestry. Selection will be based on the quality of the application package submitted for admission to the MBA Program, as determined by the Award Committee. Award Value: One award valued at $10,000. Note: To have your application considered for this award, students must been accepted into the program and have confirmed their attendance with a tuition deposit by the award application deadline date. Have at least three years of related professional work experience that followed the completion of their undergraduate degree program. Submit a resume of their related professional work experience. Have a minimum GPA entrance average of 75% as per the admission requirement of the MBA program. Selection will be based on academic achievement, as determined by the Award Committee. Award Value: One award valued at $1,000. Canadian students have access to numerous funding options to help them pay for an MBA, such as grants, private loans, fellowships, scholarships and bursaries, and government loans. The Government of Canada offers Canada Student Loans to full and part time post-secondary students who demonstrate financial need in most provinces and territories across Canada. The new Canada Student Grants Program (CSGP) consolidates federal student financial assistance grants into a single program that will provide more effective support for students and families and help them manage the cost of post-secondary education. Learn More! There are hundreds of scholarships, bursaries, grants, fellowships and other forms of financial assistance available to students across Canada. Student Awards is the Canadian financial awards database that allows students to be matched with awards they are eligible for, and provides them with details on application procedures, deadlines and contact information. Learn More! Sign up to search through an extensive database to find scholarships, bursaries and grants. You'll also find information about student loans, applications and budget planning. Learn More! International students have various options for funding their Canadian MBA. External financial aid is also available in the form of personal lines of credit, credit cards, family loans, etc. International students should explore their options for financial aid in the form of loans and scholarships from their home countries. The Paras Education Foundation assists international students in obtaining study abroad loans for more than 42 countries including Canada, the United States, the United Kingdom, Australia, and New Zealand. No collateral security is necessary. Learn More! IEFA is the premier resource for financial aid, college scholarship and grant information for US and international students wishing to study abroad. At this site, you will find the most comprehensive college scholarship search and grant listings plus international student loan programs and other information to promote study abroad. Learn More! Browse through the Government of Canada website on scholarship opportunities for non-Canadians. Awards are available to foreign students for study/research in Canada. Learn More! The Edwards MBA is pleased to announce their partnership with RBC Royal Bank of Canada to offer a professional student package! For students accepted into the Edwards MBA program, RBC offers the Royal Student Credit Line for Professional Studies. Standard Royal Bank credit criteria applies, however RBC is currently able to use projected income allowing most students to qualify on their own without a co-signer. The limit currently offered is The maximum limit currently offered to Edwards MBA students with RBC is $45,000. This limit excludes any government student loans and existing Royal Credit lines for students. The limit is reviewed on an individual basis. An interest-only payment is due monthly at preferential rate of Prime plus 0.5%. This rate applies while you are enrolled in school and during repayment as well. You will also have the convenience of accessing funds through RBC banking machines or online and telephone banking. For everyday banking RBC offers either the RBC Student Banking Account or RBC No Limit Student Banking Accounts. The signature RBC Rewards Visa (upon credit approval) is free for those with an RBC Student Banking Account. With this Visa card you will earn 1 reward point for every $1 spent on the card. The card also comes with purchase protection, extended warranty and auto rental collision insurance. With RBC Rewards points you can earn gift cards from The Bay, Sears, Cineplex, Starbucks and many others listed on the RBC Rewards website. 3000 points = $25. You can also choose RBC Financial Rewards or travel rewards.